Gary Dourdan is an American actor. He is widely known for portraying Warrick Brown on the television series CSI: Crime Scene Investigation. Dourdan was born in Philadelphia, Pennsylvania, the son of Sandy, a teacher and fashion designer, and Robert Durdin, an entrepreneur and agent for jazz musicians. Dourdan is the second youngest of five children. When he was 6 years old, his older brother Darryl was murdered while on vacation in Haiti; the case remains unsolved. He moved with his family to Willingboro, New Jersey when he was in his youth. At this time his interests included acting, music, and martial arts. Later Dourdan moved to New York City and worked as a doorman at a rehearsal studio where he met some of Manhattan's promising young artists. In 2000 C.S.I. : Crime Scene Investigation premiered on CBS. Initially, the series was not expected to become a top-rated show. "We were underdogs for so long, and fought an uphill battle to get regular notoriety" Dourdan told Zap2it. "We fought tooth and nail just to get respect from our own company, CBS. Then we finally came through with the numbers." C.S.I. finished the 2000-2001 season as the highest-rated new drama, and was nominated for a Golden Globe for best television drama. On C.S.I. Dourdan plays a Las Vegas casino hustler turned forensic detective. On the personal front, his character is battling a gambling addiction. Dourdan feels that he and his C.S.I. character both are outsiders. He explained to Zap2it, "Warrick was never involved in the crews ... never had the ear of the cool people. He was always on the outside of that. That is his uniqueness." Dourdan continued, "That was my whole high school upbringing right there. I had two or three groups of friends who were not really friends, they were all acquaintances, that I was trying to fit into to make myself feel partially normal. I always switched around, because I never quite got it right, until I started to get older, started to realize that I needed to completely be an individual. I never fit the mold." Dourdan next appeared in the 2002 movie Imposter, co-starring Madeleine Stowe, Gary Sinise, and Vincent D'Onofrio. Dourdan has also continued to pursue his musical interests--he has been working on two CDs scheduled for release in 2002. One is a collection of music from movie chase scenes. "We call it Chase Du Jour, " Dourdan told Entertainment Tonight. "The other features vocalists I am friends with and writing songs for--sort of a little avant garde ... the trip-hoppish, current-day genre music that is being sought right now." A resident of Los Angeles, Dourdan lives close to his daughter. Next, Dourdan hopes to develop a film about Phil Lynott of the group Thin Lizzy--Lyncott is Ireland's only black rock star. He is heavily involved with the Sankofa Urban Peace Awards. In 2003 CSI won Favorite Television Dramatic Series, and Dourdan was up for an NAACP Image Award for Outstanding Supporting Actor In a Drama Series. Dourdan married model Roshumba Williams in 1992; the couple divorced two years later. He has two children: a son, Lyric, and a daughter, Nyla. Lyric's mother is Cynthia Hadden and Nyla's mother is Jennifer Sutton, whom Dourdan dated from 1995 to 2000. Dourdan also has African American, Native American, Jewish, French, Irish and Scottish ancestry. Dourdan was arrested on April 28, 2008 in Palm Springs after a Palm Springs Police Department officer located "suspected cocaine, heroin, ecstasy, miscellaneous prescription drugs and paraphernalia" in his possession. He was subsequently "booked at the Palm Springs jail on possession of narcotics and possession of dangerous drugs." People's Choice Awards, CSI: Crime Scene Investigation, Favorite Television Dramatic Series, 2003; NAACP Image Awards, Outstanding Supporting Actor in a Drama Series, nominee, 2003. The Good Fight, (movie) Lifetime, 1992. Muhammed Ali: King of the World, (movie). CSI: Crime Scene Investigation, 2000-. 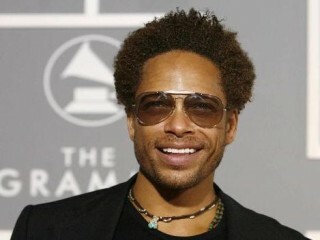 View the full website biography of Gary Dourdan.